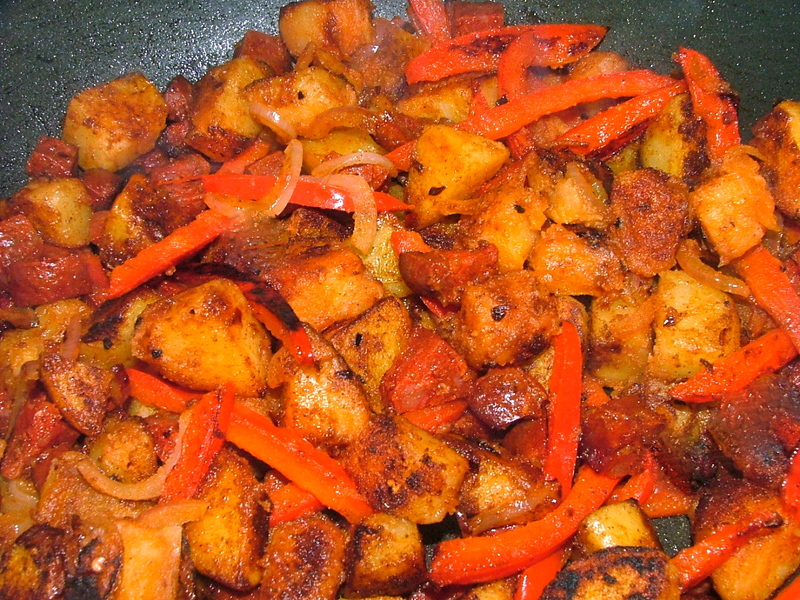 More chorizo and potato! This time in quesadillas. 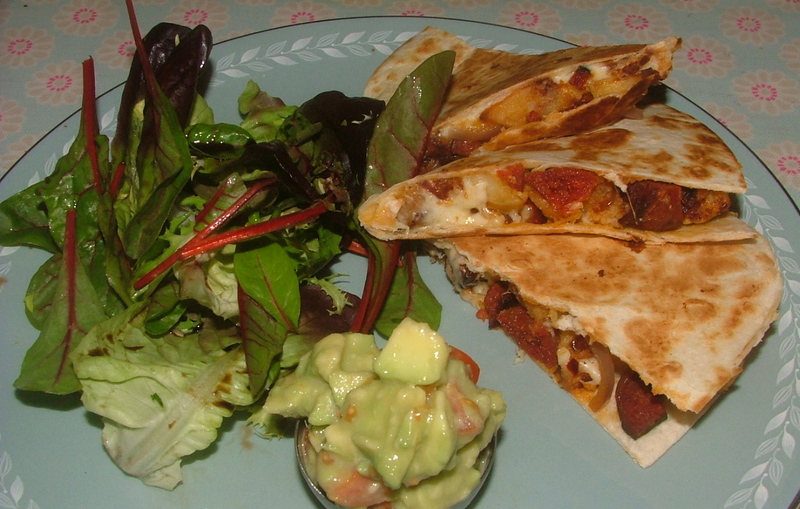 Quesadillas are a huge hit in our house and very versatile, lovely fillings include refried beans, grated courgette (zucchini) and carrot, goats cheese and sun blush tomatoes. 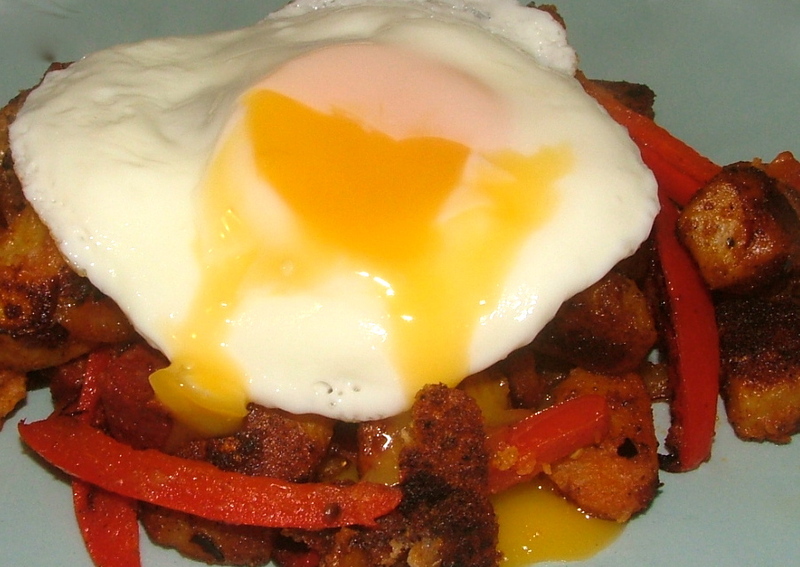 Potato and chorizo however are two of my favourite ingredients, so this is what I have used for this recipe which is one of my favourite meals of all time. Cook the chorizo, stirring occasionally until you can no longer the see white fat and it has melted into oil within the pan. Serve with guacamole and salad – enjoy! This simple supper is delicious, packed full of flavour and cheap to make. I always have a chorizo ring in the fridge. Although they are expensive in delis and some supermarkets, they are very cheap in places like Morrisons where they are just £2. This makes them very thrifty and a good way to add meat and flavour to dishes without breaking the bank. Cook for 5 more minutes tossing once in-between. I have a confession. I am addicted to avocados. I spent most of my life disliking the things – now I eat a least three a week. I hear they are fattening, but it is good fat so that is fine by me. 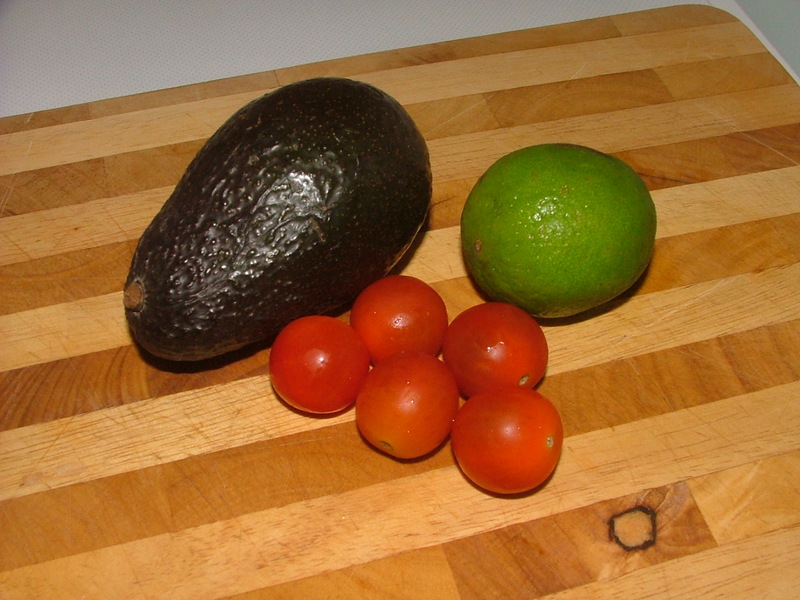 This is my very simple guacamole recipe. 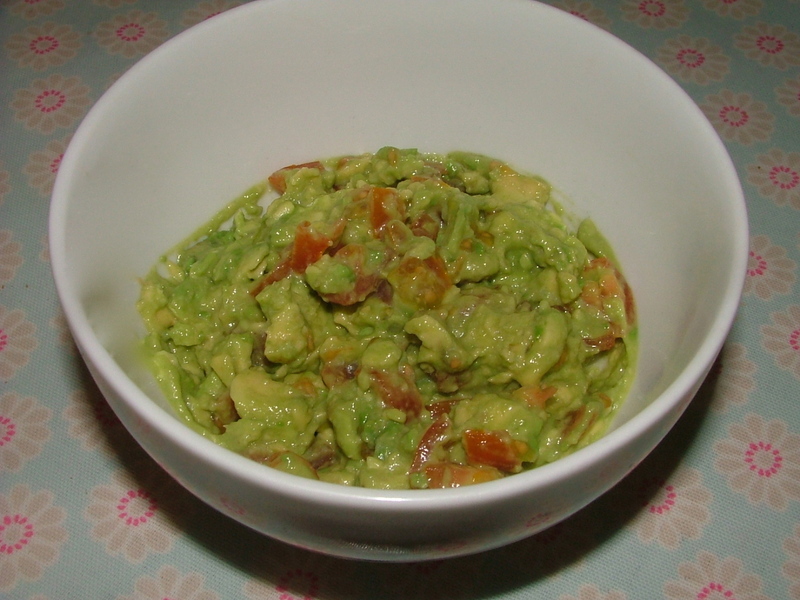 I know some people like to add red onion, garlic or sour cream and by all means feel free to do that, however I use guacamole to cut through other strong flavours so I like to keep it fresh, light and zingy. Wash and dice the tomatoes into even smaller cubes. If you are using a whole tomato as opposed to cherry tomatoes, remove the jelly from the middle before dicing. 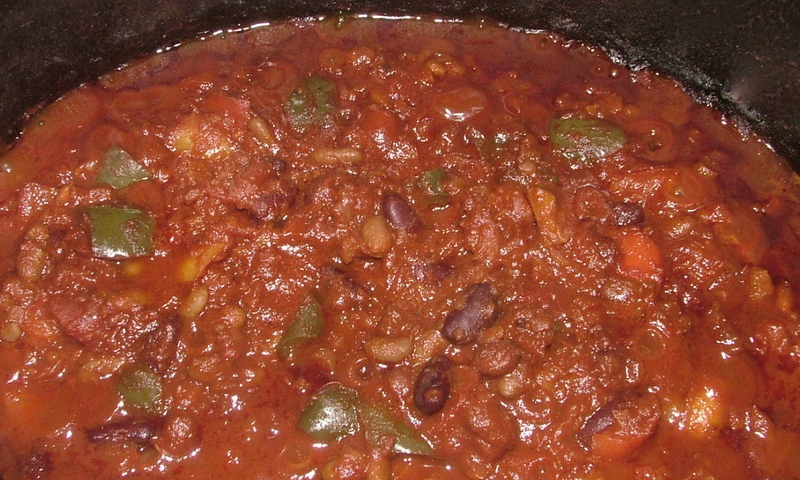 Take a fork and mush all the ingredients in the bowl with a fork until you get a texture similar to the photo.